The Home Secretary yesterday wrote to every member of the House of Lords about the amendment to the Article 50 notification Bill on EU citizens’ rights which is due to be debated by Peers today. There was coverage of this letter and the debate in the Telegraph, Mail and Independent which highlight how the Home Secretary has sought to reassure Peers that the Government wants to guarantee the rights of EU citizens living in the UK, along with the rights of British citizens living in Europe, as a priority for the negotiations with the EU. The Independent carries an article which includes suggestions that the Home Office has introduced new powers to deport EU citizens because they do not have comprehensive sickness insurance. This is not correct. EU citizens in the UK will not be removed from the UK or refused entry solely because they do not have comprehensive sickness insurance. It is completely wrong to say that we have new powers to deport EU citizens without comprehensive sickness insurance. EU citizens will not be removed from the UK or refused entry solely because they do not have this insurance. European citizens resident in the UK make a vital contribution both to our economy and our society. That's why we will be making securing their status, as well as that of British nationals in the EU, a priority as soon as we trigger Article 50 and the negotiations begin. Their right to remain will remain unchanged while we are a member of the European Union and they do not need any additional documents to prove their status. 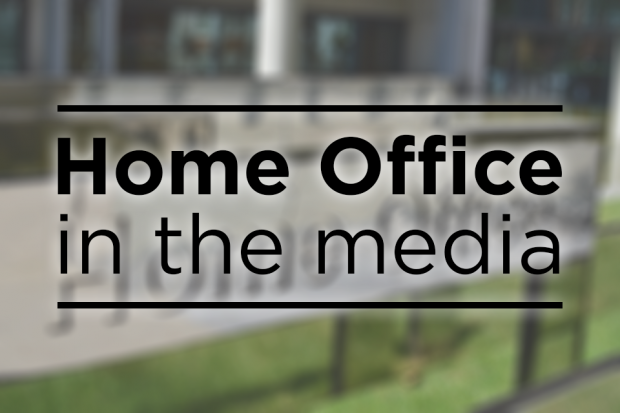 More information for journalists on permanent residency can be found in our factsheet.